Requirements: Compatible with iPhone, iPod touch e iPad. Richiede iOS 3.0 or later. 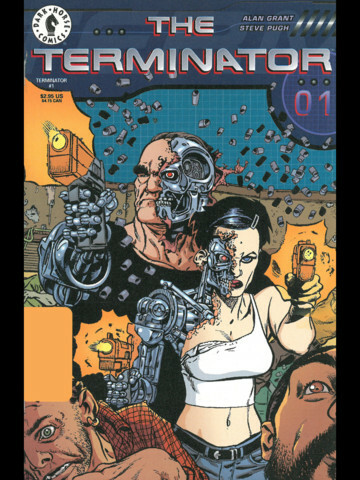 The Terminator: Death Valley The Terminator is back in movie theaters and now you can enjoy classic Terminator comics from Dark Horse Comics, on your iPhone or iPod Touch. In celebration of The Terminator game, created by Big Head Games Ltd., in partnership with Dark Horse Comics, The Terminator: Death Valley #1 is being offered for FREE for a limited time. It is the rise of machines. It is the fall of man. It is the day of reckoning. The wheels have been set in motion for the extinction of the human race and the ascendance of ruthless, intelligent machines known as Terminators. But one man, John Connor, can prevent this bleak future from ever coming to be. And until he's erased from existence, he is the critical target of the Terminators. In the bleak wastes of Death Valley, two of these killing machines have been sent from the future to find Connor as a boy. But the Terminators didn't calculate the possibility of someone finding the boy first—someone with a killer's past and a score to settle. The cult leader Killerman has taken the Norden family hostage, with the deadly duo of Terminators hot on his trail—that is, until the local police trail the Terminators and are caught in a vicious battle with the cybernetic assassins. 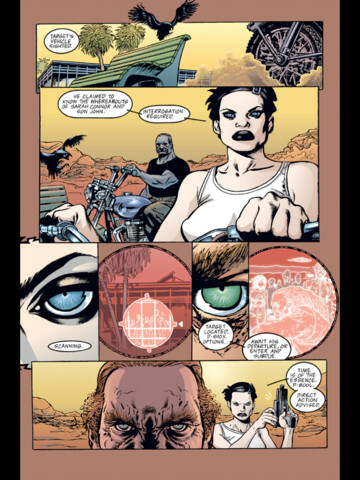 But amidst the violence and chaos, a bounty hunter who's tangled with Killerman realizes the Terminators' true nature. And, Sarah Connor finally emerges from the shadows. 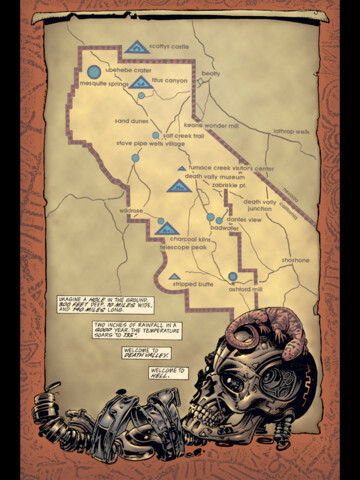 As a violent storm breaks over Death Valley, the former cult leader Killerman heads deeper into the wastelands to escape the pursuing Terminators. But not too far from the hunt, other events unfold that may become unexpected links to the Terminator technology. At the China Lake Naval weapons base, a scientist develops the cutting edge in artificial intelligence. But he's not exactly willing to hand it over to the military. Meanwhile, Killerman realizes the Terminators aren't his only trouble. The Terminators have hit Death Valley like a runaway train. Literally! The Terminator duo, male D-800L and female D-810X, have never been closer to exterminating their quarry, humanity's would-be savior, John Connor. 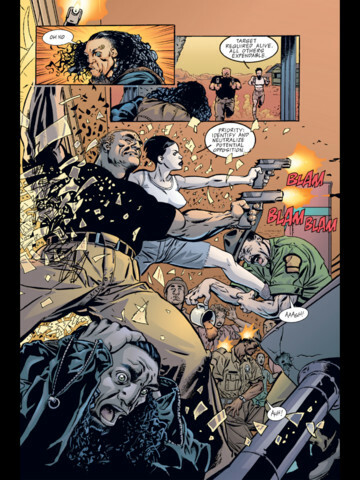 But standing in their way are the bounty hunter Van Dirk, who blames the cyborgs for the death of an innocent girl, and a steam-powered locomotive barreling straight towards them.